The 2011 Danish/Swedish co-production “Bron/Broen” presented a unique and irresistible premise. The halves of two human bodies — one a politician, the other a prostitute — are found on the massive five-mile Öresund bridge that connects Sweden and Denmark. The discovery of the partial corpses sets off a series of murders by a killer intending to point out the societal problems plaguing both countries, forcing two mismatched detectives, Saga Norén (Sofia Helin) and Martin Rohde (Kim Bodnia), from each side of the bridge to team up to solve the case. Coming on the heels of some immensely popular made-for-TV crime stories — “The Killing” in Denmark and the adaptations of Stieg Larsson’s “Millennium trilogy” in Sweden — the series itself functioned as a team-up for the two countries’ public service television networks, which co-produced the series. Given the fact that the series was a success throughout the world, finally arriving in the U.S. via Hulu today, an American remake of the material was seemingly unavoidable. FX’s take on the series, which stars Demián Bichir and Diane Kruger and premiered in July of last year, made some drastic changes to the original premise. Instead of focusing on the subtle and almost imperceptible differences and societal problems of two similar countries, “The Bridge” situates its story in El Paso and Ciudad Juárez on the US/Mexico border. A more faithful remake of the original series probably would have dealt with a Canadian and an American police officer solving these crimes (and indeed FX’s original plan was to set the series around Ambassador Bridge connecting Detroit with Windsor, Ontario), but perhaps the pulpy possibilities and wealth of underexplored social tensions offered by the U.S.’s southern border and a need to distance the series from AMC’s remake of “The Killing” in setting and color palate made the change unavoidable. Both series present two points of interest for viewers — the serial killer narrative and the exploration of the differences between the two countries in which the story takes place. FX’s series actually managed to handle the story of the killer and the ultimate reveal of his intentions far better than the original series. It introduced the killer earlier and integrated the character better with the other cast members. The improvement is clearest in the series’ dénouement — a stand-off set on the titular Bridge of the Americas — where the killer’s motives throughout the series are revealed once and for all. The scene utilizes a significant character whose Scandinavian counterpart was unceremoniously killed, giving every moment greater weight and significance for every character involved. The American “The Bridge” places less emphasis on the killer’s social criticism — the original Scandinavian drama has the killer offering up a series of five societal truths that he plans to expose throughout his killing spree. This numerical count-down device feels indebted to David Fincher’s “Seven” — and when it’s clear that the killer has other, more personal motives — too insubstantial to take seriously. 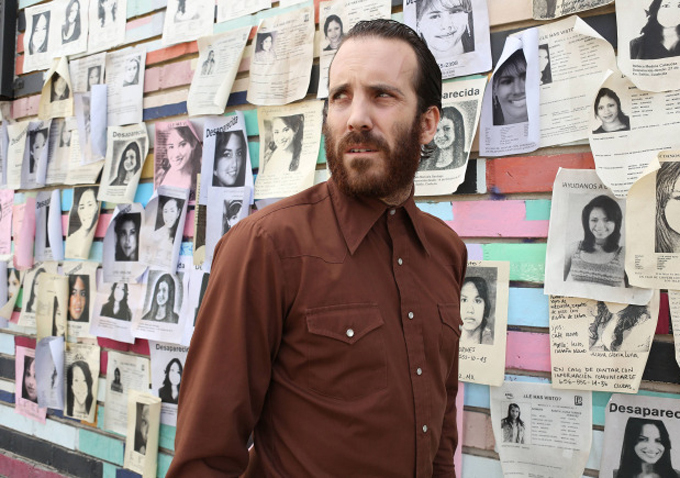 While the FX version of the killer still targets victims of different social stature, he is allowed to be less literal about his criticism, and the moniker “the truth terrorist” used in the original series never gets uttered by detectives Sonya Cross and Marco Ruiz, played by Kruger and Bichir. But even if the killer is less pointed in his criticism, an exploration into the issues affecting Mexico and the U.S. is unavoidable. Since the uneven distribution of wealth effects people in both Scandinavia and North America, “The Bridge” is able to use similar versions of the subplots that take place in “Bron/Broen,” but with increased focus on drug running, tunnels underneath the border and illegal immigration from one country to the other — important issues that could never have been tackled by the original series. But if “Bron/Broen” was somewhat clumsy about the reveal of its main antagonist, you never got the sense that it didn’t take its milieu seriously. It’s therefore a bit of a shame to see how the Juárez and El Paso of “The Bridge” seem less like reality and more indebted to the pulpy universes of other television shows dealing with similar issues in similar locales. It’s hard not to think of the border-set seasons of Showtime’s “Weeds” in the subplot featuring Annabeth Gish as a beautiful, white, brunette woman in her forties forced into the drug world after the death of her husband (especially when Bichir portrayed the drug-running mayor of Tijuana in these seasons of “Weeds”). These scenes also share a willingness for outrageousness that recalls “Weeds,” including a sequence where Gish’s goofy boyfriend is forced into sexual antics to close a deal with a drug kingpin portrayed by Alma Martinez — something totally out of place in otherwise gritty universe of the series serial killer narrative. The show also lacks the strict adherence to the character’s native language that was such a strong presence in the original series. One of the signature aspects of “Bron/Broen” is that the two detectives speak to each other in their own languages, but Spanish and English are not as similar as Danish and Swedish. But there is a sense of disconnect every time Bichir’s character has long conversations with his son Gus, constantly switching back and forth from Spanish to English. As it stands it can be difficult for the viewer to even discern whether or not a given sequence is set in El Paso or Juarez, since so often its Mexican characters speak to each other in English. “The Bridge” may have considerably more Spanish dialogue than most other series on non-Spanish language American television, but it’s still made for and aimed primarily at English speakers — a dubbed-into-Spanish version of the series is running on MundoFox. The language imbalance exemplified how “The Bridge” has adapted the story premise of “Bron/Broen” but not that of the production, where television networks from two countries combine their forces for a single series, broadcasting it simultaneously in both countries. There is less need to adhere to Spanish when “The Bridge” is a production of FX Productions and Shine America. The co-production aspect influenced every aspect of the original series, with immense focus placed on creating a sense of balance between the presence of the two countries. “Bron/Broen” shot in recognizable parts of Malmö and Copenhagen, while only the pilot of “The Bridge” shot on location in El Paso. One of the clearest examples of the minimal but important differences between the two countries is the series’ opening credits sequence, which literalizes this theme through its text — written out in both Danish and Swedish -– even with the two languages’ nominal differences. Both languages and therefore both countries are given equal weight, importance and exposure. It’s interesting to compare “The Bridge” with the other mostly-English language version of this material, the UK/France-set “The Tunnel,” which wrapped up its first season run in France and the U.K. last month. “The Tunnel” is also a co-production, between the U.K.’s Sky Atlantic and France’s Canal Plus. It stars Stephen Dillane and Clémence Posy as the two detectives who are called to investigate a body in the Channel Tunnel, sticking very closely to the serial-killer narrative of the original series, faults and all. Since the socio-political differences between the U.K. and Central Europe are not as great as between the Mexico and the US, the various subplots and societal faults that come forth as a result of the killing spree are mostly identical to the ones presented by “Bron/Broen.” By not offering up the narrative refinement on display in “The Bridge, nor offering up a different milieu, “The Tunnel” feels much more like a superfluous retread — even with its talented cast. Perhaps the differences between American and Mexican television productions are too great to adopt the co-production model used in the European versions of this story, but that still doesn’t mean that FX’s version can’t give more weight to the Mexican side of the story. 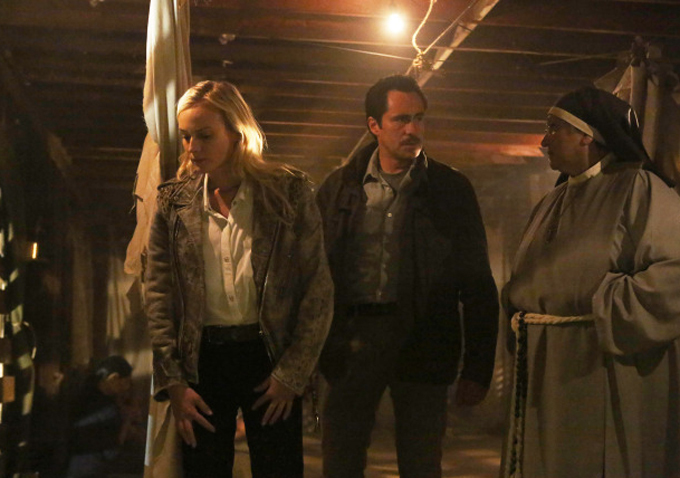 If the final two episodes of the first season of “The Bridge” are any indication — where the subplots surrounding the main narrative blaze ahead, and the two detectives decide to investigate the so-called “Lost Girls of Juarez” — it looks as if the show is going to untether itself from the narrative presented in the second season of “Bron/Broen.” This indicates both a wish to forge ahead with the possibilities its locations offers and perhaps a willingness to correct the balance — and since it’s the far better remake of this material, it will hopefully make “The Bridge” lives up to its immense promise.